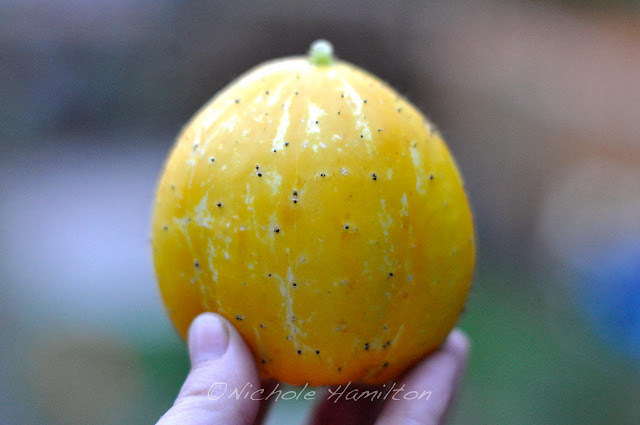 I had seen images of lemon cucumbers a couple years ago and I have wanted to put one in my mouth ever since. 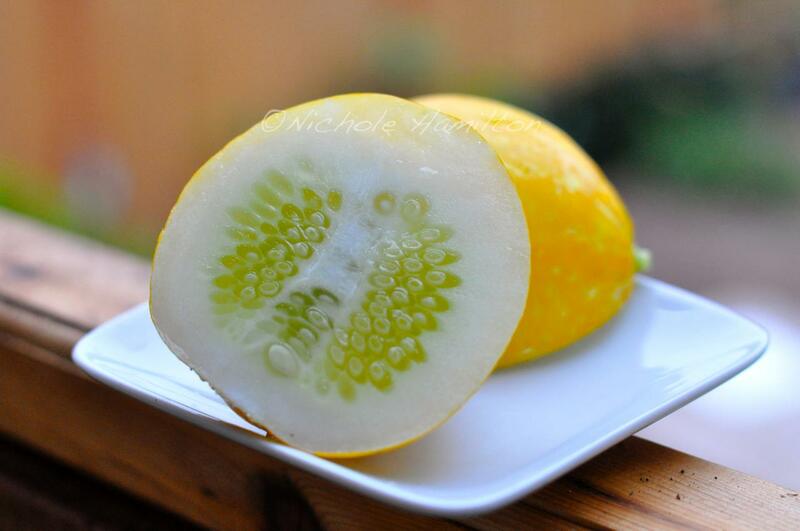 I was shopping last spring at my local nursery and happened across some lemon cucumber starts. Be still my heart! And tonight I harvested my first. I didn't notice it until it was a little late for harvesting. As they mature the skin turns yellow, hence the name "lemon" but the best time to harvest them is when they are actually a little paler in color, before the skin gets tough. So the skin was a little tough but the insides were crisp and delicious. Aren't they darling? Next year I am going to plant a whole bunch of them. Not only are they adorable, but I love cucumbers. Win win for me!